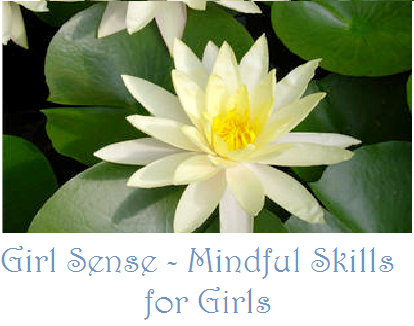 Girl Sense is a new 7 week mindfulness based program designed specifically for girls 9 - 12 years old. This program focuses on inspiring and insightful conversation, provides a framework for the girls to find their inner confidence, explores who they are as individuals and what it means to be part of a larger community. introduce the girls to our '6th sense' which is 'to know'. Each week we will learn one or more strategies designed to help the girls identify, navigate and regulate emotions that result from interactions in their daily lives. Participants will share stories, find their creative outlet and explore their sense of self throughout the course of the first 6 weeks. Week 7, participants will be asked to invite an inspiring female to the class to share what they have learned. Deb Grover is the Marketing and Outreach Director for Community of Mindful Parenting (CMP). She is also a trained Roots of Empathy facilitator and graduate of many mindful parenting programs. Deb obtained her bachelor's in writing and psychology from the University of Puget Sound and her MBA from Seattle University. Deb uses her MBA to apply traditional business practices to non-profits (such as CMP). She is also a founder and owner of BellySock LLC, and Grover Ventures LLC. Deb is a proud mom of 2 teen girls and active learning and growing mindful parent. Deb, her husband Scott, and their two daughters live in Bellevue, WA.